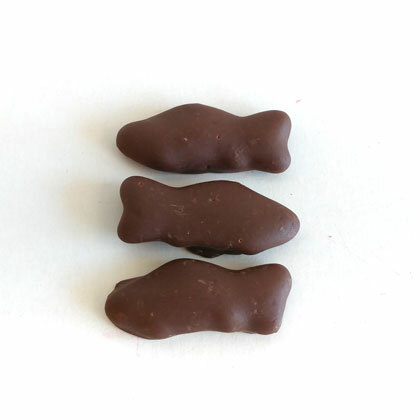 Premium milk chocolate covered red fish. Made in USA. Approx. 2 inches long and 2.5 per ounce. 7 ounce bag.